The rookie-level Gulf Coast League is the lowest rung of the seven levels in the St. Louis Cardinals system in the United States, but it is one where the changes in the organization’s approach are beginning to show. The club plays on the back fields of the Cardinals complex in Jupiter, Florida in front of basically no fans, meaning information from the GCL is gathered by many from box scores. However, the Cardinal Nation again has a local reporter, Paul Ivice, attending most home games, providing an insiders perspective that is available nowhere else. His insights provide the core of this article. The 2018 edition of the Cardinals was able to return to the regular-season success the club has enjoyed in recent years. Led by manager Erick Almonte, the club won its fourth division title in the last five seasons, only interrupted by a playoff miss in 2017. In fact, it was a record season. The Cards played .714 baseball, winning 40 and losing just 16. The last time any Cardinals minor league team at any level had a .714 mark or better was 42 years ago. The 1976 Johnson City Cardinals also finished at .714 (50-20). The Cards were successful at home (18-10), but were even better on the road (22-6). The Cardinals finished the season in first place, 12.5 games ahead of the Astros. The 2017 division champion Nationals fell to the cellar. Heading into the post-season on an eight-game winning streak, the Cardinals took on the Phillies East, winners of the Northeast Division. The Cards prevailed in the one-game, winner-take-all format. Their finals opponent, Tigers West, won the Northwest Division, with the second-best winning mark in the 18-team league, .698 (37-16). After taking down the Red Sox in their initial post-season game, the Tigers West won the title in three games despite the Cards holding home field advantage. The GCL is a short-season league. The 56-game regular-season schedule began on June 18 and concluded on August 25, with the playoffs following. The 18-team league is made up of two four-team divisions and two five-team ones, including the Cardinals’ East Division, which has five clubs. The Cardinals got out of the gates strongly, winning their initial six games, before finishing June 7-3. The offense scored seven or more runs seven times and they won six of those contests. As the calendar flipped to July, the club kept pounding away. Their 18-7 mark included another six-game winning streak mid-month. Though the August record of 16-6 suggests continued consistency, it was less so than the total denotes. During the second week, the Cards had a season-worst three-game losing skid but finished with the aforementioned eight wins in their fial eight games. Looking at the big picture, the Cardinals’ decade spent in the GCL can be viewed as two clear groups. In the first four years, the Cards never logged a winning record. However, since 2010, they finished above .500 six of eight years, including five division titles. In 2016, the Cards again took the East Division, then finally won the one-game first round of the playoffs, after dropping all three prior chances – in 2012, 2014 and 2015, before going on to win their first league title. Their 2017 winning mark of .473 was the second-worst for a Cardinals team since 2009 and their fourth place finish in the standings was the lowest since 2008. However, they obviously bounced back strongly in 2018. OK, so we know the Cardinals had a historically good season in 2018, but why might that be? Paul Ivice weighs in, suggesting the difference is due to an imbalance in the level of talent in the division. Statistically, the Cardinals had the most offense, but they scored dis-proportionally more against the two weakest pitching staffs in their division, the Nationals and Mets. The Cardinals had a plus-38 run differential in winning 10 of 14 against each of those teams. And were plus-33 in winning 12 of 14 from the Marlins. Against the second-place Astros, the Cardinals were minus-6 in losing six of their first 11 meetings, including a 10-0 win on opening day, before winning the last three to finish 8-6 with a plus-1. Big innings were the trademark of this Cardinals squad. Of the 44 innings in which the Cardinals scored three or more runs, 20 were against the Nationals, 12 vs. the Mets, 10 against the Marlins and two against the Astros, one each in their first two meetings. The Nationals also had seven of the 22 innings in which opponents scored three or more, and the Marlins had seven. In aggregate, the GCL Cards were older than most of their competition. This is primarily due to the organization placing college players who had heavy spring workloads in the GCL to protect them. Of the 18 teams in the league, the Cardinals pitchers and hitters both averaged fifth oldest. Specifically, the Cards hurlers were 20.8 years of age compared to the league average of 20.4. The position players averaged 20.1 years of age, with the GCL average 19.7. As an organization, the Cardinals have traditionally been known for their pitching, and while the 2018 GCL mound results were good, the offense clearly led the way. The Cards’ 3.42 team ERA was fifth-lowest in the league, and over a half-run per nine innings better than the 3.97 mark last season. However, it still fell short of the 2016 team’s 3.16 ERA. 14 different pitchers started for the GCL Cardinals in 2018, including rehabbers Derian Gonzalez with six and Ryan Helsley with one. 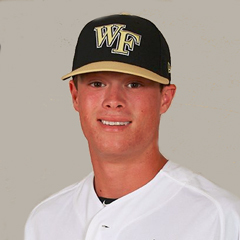 The 43rd overall selection in the 2018 draft, right-hander Griffin Roberts made two starts (and five relief appearances). 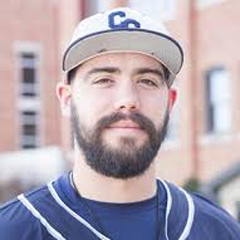 The 2018 pitching staff, tutored by third-year GCL coach Giovanni Carrera, logged the aforementioned aggregate ERA of 3.42. The league-average ERA in 2018 was over a half-run higher at 3.95. As is typical across the system, the Cardinals pitchers strike out relatively few, but also limit free passes better than most. The Cards’ strikeout total of 415 was 12th in the league. The GCL average was 430. The Cards issued the fourth-fewest walks in the circuit with 172, against the league average of 191. With 18 hit by pitches, the Cardinals had the fewest by a considerable margin, with the league average 41. The also served up the sixth-fewest number of long balls, also 18. In terms of baserunners, the Cardinals’ WHIP (walks and hits per inning pitched) of 1.297 was tied for third-lowest in the league. The GCL average was 1.372. Under first-year hitting coach Joshua Lopez, the Cardinals offense was a dominating group – both against their league competition and compared to the 2017 club. The Cards were first in runs scored per game at 6.20, with the next most prolific offense in the league at 5.65. The league average was 4.67. They were just fourth in batting average at .270. However, the 2018 offense was tops in the league in on-base percentage at .361 and third in slugging at .401. Their .761 OPS was second in the GCL. In counting stats, the Cardinals were tied for second in doubles with 100 and were second with 28 three-base hits. They swatted 30 home runs, good for sixth in the GCL. An ongoing shortfall across the entire system, including St. Louis, is baserunning. The GCL Cardinals are no exception. They stole just 40 bases, fifth-fewest in the league, with the league average 57. Perhaps it was better they did not attempt more swipes, as their success rate of 63.5 percent was well below the league-average of 67.4. At least by looking at the basic metrics, fielding was another strong suit of the 2018 GCL Cardinals. Their fielding percentage of .966 was fifth-best in the league and they turned the second-most double plays at 136. The catching, often a strength at the lower levels, was in the middle of the pack in 2018. They allowed 18 passed balls during the season, ranked eighth in the league. For the second consecutive year, the catchers threw out 32 percent of baserunners attempting to steal, 30 of 95, just 10th in the league. 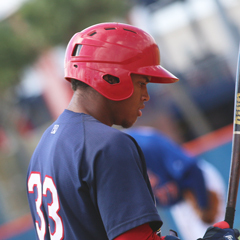 The 31 players on the active initial roster included nine 2017 Dominican Summer League players – five hurlers and four position players. Pitchers over for the first year included lefty Diego Cordero, who was quickly promoted upward to finish in State College and Dionis Zamora, who spent most of the summer at Johnson City. Hitters were prospect catcher Ivan Herrera, shortstop Raffy Ozuna and outfielders Victor Garcia and William Jimenez. 17 members of the initial GCL Cards were system returnees, most up from the DSL. GCL repeaters included pitcher Brian Pirela, a 10-game winner, 2017 eighth rounder, reliever Wilberto Rivera and outfielder Terry Fuller. Former infielder Starlin Balbuena moved to the mound and outfielder Brandon Benson (State College 2017) was working his way back from injury. In addition, there was a group of brand-new Cardinals, including 13 of the 37 players drafted and signed by the organization this June. That included three of St. Louis’ top four draftees, Roberts, first baseman Luken Baker and shortstop Mateo Gil. Technically, the GCL roster had four of the top five, as it included fourth-rounder Steven Gingery, coming back from surgery so did not pitch. The lefty from Texas Tech will officially open his professional career in 2019. Other 2018 draftees assigned to the GCL Cards include pitchers Francisco Justo (12th), Cole Aker (18th), Connor Coward (26th), Perry DellaValle (27th), Ty Cohen (31st) and Chris Rivera (33rd). Others were catcher Brandon Purcell (32nd), infielder Kevin Vargas (32nd) and outfielder Andrew Warner (40). Several of the college-drafted players were promoted upward in season, including Aker, Purcell and Warner. 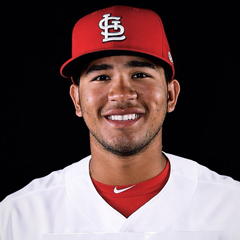 Just one non-drafted player made his Cardinals debut in the GCL, pitcher Edgar Escobar, though he was soon joined by catcher Joe Freiday. In August, trade acquisition Jhon Torres was assigned to the club. In terms of ages, shortstop Gil was the youngest GCL Cardinal, just 17 years of age. In total, 10 of the 31 GCL Cardinals were still teenagers. The oldest was 23-year old pitcher Chris Hunt, initially back for a second year before being promoted to Johnson City. One way to compare the top talent level increase is to note that the 2018 Cards had five .300 hitters, compared to just two in 2017. They were led by Jhon Torres at .397 and Ivan Herrera at .348. Josh Shaw led the club with 30 RBI in 46 games before his promotion. The rotation leaders were Coward, DellaValle and Pirela, with ERAs at 0.88, 1.97 and 2.71, respectively. Pirela set a new club record with 10 wins. While eight different players logged at least one save, Escobar had half the team’s total, with nine. 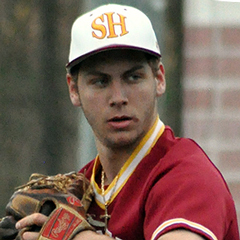 Top strikeout pitchers included Escobar and DellaValle, at 13.3 and 13.2 Ks per nine innings, respectively. Stingiest with walks was Rivera at 0.9 BBs per nine, followed by Escobar at 1.2. Leading the way in strikeout to walk ratio was Escobar at 11.0, with DellaValle at 9.5. 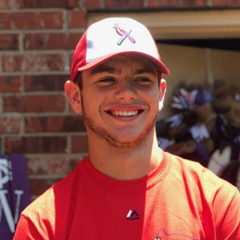 As we move into the awards for the top position player, starting pitcher and relief pitcher on the 2018 GCL Cardinals, we will drill down further into individual player stats. As a team, the 2018 Gulf Coast League Cardinals had good pitching and defense and a superb offense. Perhaps the competition in the division was down, but the Cards’ loss in the last game of the finals was to another good club. From the development perspective, the club should provide a number of battle-tested players to higher-level organizational clubs in 2019. Link to master article with all 2018 award winners, team recaps and article schedules for the remainder of this series. Of course, that will include our selections as the GCL Cardinals Reliever, Starting Pitcher and Player of the Year.